There is construction going on but when I phoned the casino to ask about RV parking they said they never had any. So there is NO RV parking at this casino at this time. March 2019. No Walmart parking in LA area. 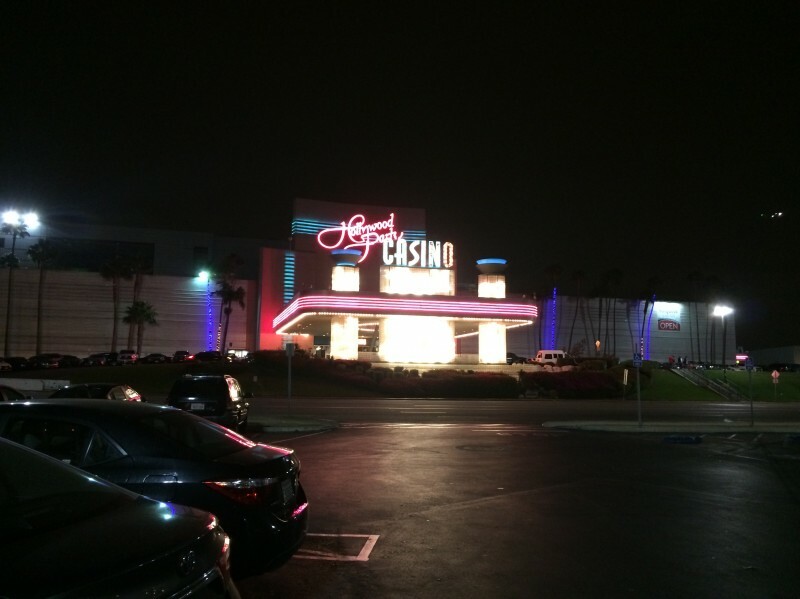 No Truck Stops with parking in LA area at least not near this casino. Had to drive to San Diego to find a casino there. Will write a review on Barona Casino. We parked here for 5 days with our 30' travel trailer and truck. There are signs that say no overnight parking, but if you go inside and ask permission they will give you a parking permit. Important note: You HAVE to ask permission or else you will get a notice that you will be towed. Also note, having a parking permit in your window won't stop a security guard knocking on your door at 2 am to ask if you have a permit. LOL. Overall, it is in a tough neighborhood but we felt relatively safe as the parking lot is patrolled by casino security 24/7. All of the security guards are super nice and welcoming. They do look out for you and your trailer to make sure it is safe and sound while they are on patrol. We parked at the very end of the parking lot so it was pretty quiet as they have a huge lot, most cars were never within 10 parking spaces of us. Be warned, it is in the flight path for LAX, so if you are bothered by airplane noise then this is not the spot for you. It didn't bother us, so it really was a great simple spot for 5 days. Also, the area is close enough to the ocean that you still catch the cool ocean breeze coming in. We had amazing fresh air with the windows open the whole time. No shade in the lot but the cool breeze and temperate California climate makes up for that. They just built a new casino that was opening after we left, so we didn't see it but the pictures of the plans looked amazing. It should be pretty nice. Our casino experience was limited because it was only a small portion open while they finished construction. No shuttle, but where you can park RV is only 200-300 yards from the casino entrance so it's not a bad walk at all. We stayed one night, pulled in after dark on the far end the the parking lot (by a construction area) next to a trailer camper and a semi truck. Slept fine and wasn't bothered by anyone. We did wake up to some pigeons on the roof of our van, for a second we thought someone was unscrewing our solar panel. Damn birds. The area isn't the best in the world, but we felt safe enough. The casino is a card games only casino, no slot machines. There isn't much for shade in the parking lot, but it is a parking lot. We slept fine and that's all we wanted. We stayed over night a several times in the past couple of weeks at Hollywood Park Race track and Casino in Inglewood, CA. You have to be careful to be in the casino portion of the parking area though. They will not let you stay in the race track parking and if you park so that your rig is outside of the designated parking lines at all they will have you move or tow it away if they can not reach you for any reason. As you enter the main entrance there is a sign with an arrow indicating the RV parking area. Of the four or five nights I was there only once did they bother me and it was due to my being about six inches out into the "roadway" at five AM when the parking lot was nearly deserted. However, the security guard just asked me to move my rig down to the area where most of the RV's were and that was that. - other... Not sure if it is technically allowed but I ran my generator on occasions and no one said anything.